My Night3 is formulated to help balance and rejuvenate combined and oily skin. This all natural formula contains hyaluronic acid and glycerin for maximum hydration. Also added is retinyl palmitate (vitamin A) and peptides to promote rejuvenation. It also contains coffee oil, kiwi seed oil, apricot kernel and baobab oil to help nourish the skin. 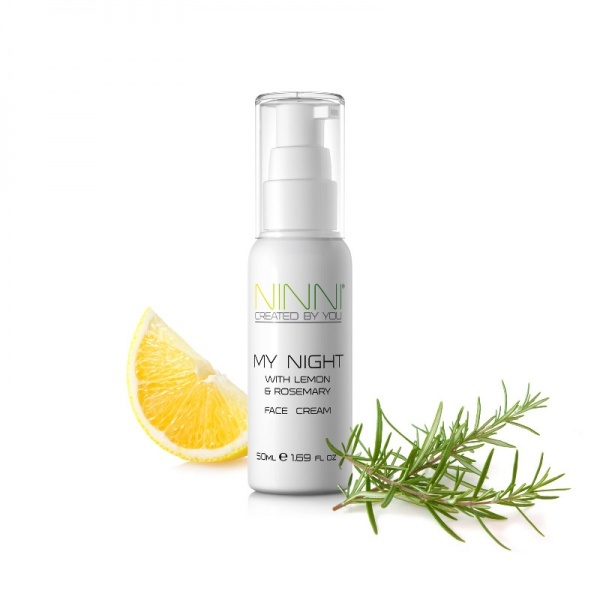 My Night3 enhances your natural beauty while you sleep. The uplifting scent of rosemary and lemon boosts your energy. Apply small amount on face and neck after cleansing, then rest and rejuvenate For external use only, keep out of children's reach and don’t use on children under 3 years of age.